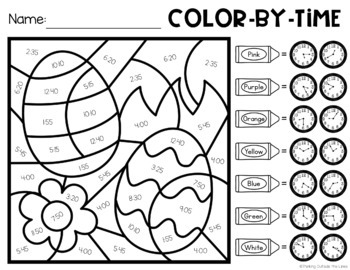 These no-prep worksheets are great for morning work, math intervention, centers and early finishers! 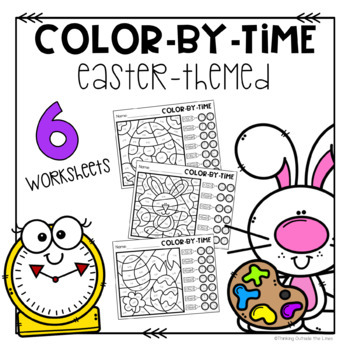 Includes 3 color-by-codes that focus on time to the :00, :15, :30, and :45. 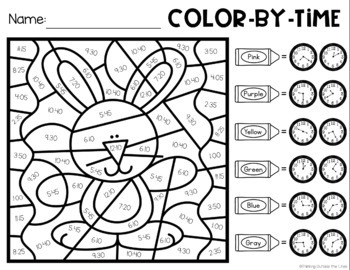 Also includes 3 color-by-codes that focus on time to 5 minute increments! 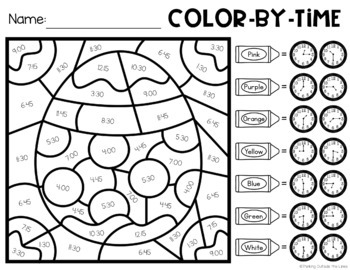 Keep an eye out for new color-by-times coming soon! !